The lack of means of information and communication in the rural areas is one of the reasons that many events and good initiatives of development stay hidden. Villages abound in events, in traditions, in customs, in culture which deserve to be known by the others. 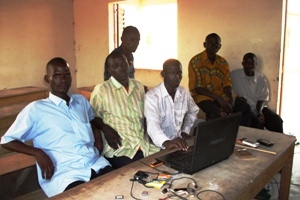 To take up this challenge of information and communication in rural areas in Mali and for first time, in the Region of Segou is the main objective aimed by the Segou villages Connection Project. Segou Villages Connection is a project of local site information to bind the Malian cities and the villages of Segou in the field of information and communication and in raising sensitization. It is in this frame that took place in Cinzana-Gare on Sunday, May 1st, 2011, a session of information and relay training in certain villages of Segou. Certain relays were not able to be present this wedding day in Mali, especially the women, but the training will be continual and the group widens as we work continues. 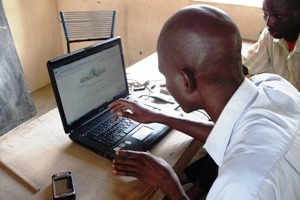 The information concerned the necessity of the connection of cities and villages in the cases of information, communication and in raising awareness, the discovery of Internet in the village through the connection 3G, sites of information, social networks, immediate messaging systems. The training concerned the modalities of sending news to the blog administrator and moderator by SMS and by mammy-wagons by the participants in the diferent villages and how to create a system of feedback between the readers and the villagers. At the end of this training, a very courageous team has been made to send news by SMS before each of them have their own computer, solar panel, batteries and mobile Internet. This team won’t take will always connect you to rural news. 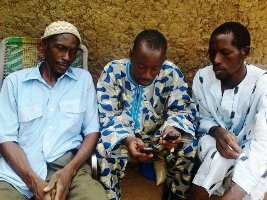 This entry was posted in Technologie, Training and tagged communication, Information, Internet, SMS, Training, villagers by Boukary Konaté. Bookmark the permalink. Mammy-wagons, that sounds interesting. What are mammy-wagons? How is the connection in Cinzana-Gare, are there also internet cafes there? Mammy-wagons are the small cars to travel between small villages and between small villages and towns. The technique for the participants is to send posts by sms or write news on papers and send them to us with mammy-wagons drivers. We always go to receive these news-letters at the bus-stops, write them on computer, publish them on the blog and return back these blog posts to the participants with the different readers’ comments on the same way. There is no Internet cafe in Cinzana-Gare, the technique for us is to be connected through computer, panel solar, batteries and Internet mobile connection in form of key USB as you can say in the first picture at a side of the computer. Love this word “mammy-wagons”, where does it come from ? Sounds like “mamie” in french – grandma – is that a mere coincidence ? More seriously, do you think of writing, from your workshop experience, about principles or some practical method of training to Internet use ?